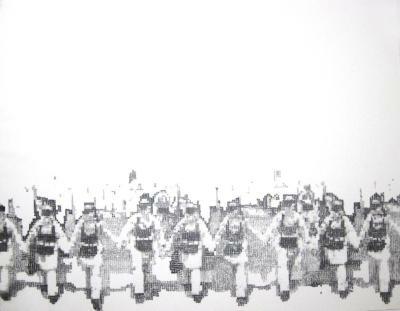 Phillip Chen, Paris, Etching, 31 in X 23 in, 2006. 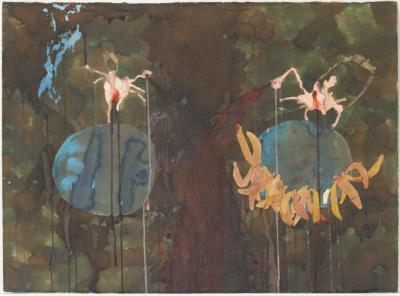 Drew Curtis, Yellow Around: Woman and Plane, Watercolor/gouache, 11 in;11 in X 14 in;14 in, 2004. 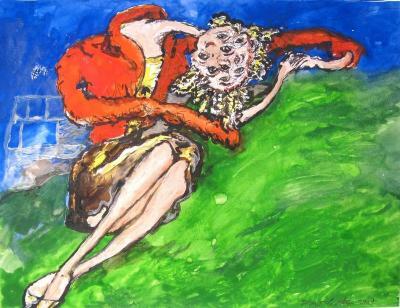 Drew Curtis, Woman in Red Jacket, Watercolor on paper, 10.5 in X 13.75 in, 2004. 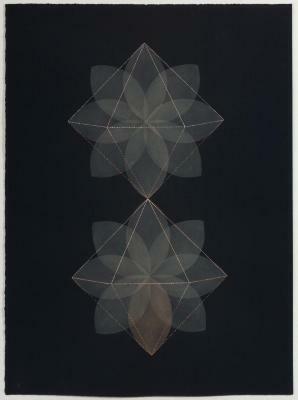 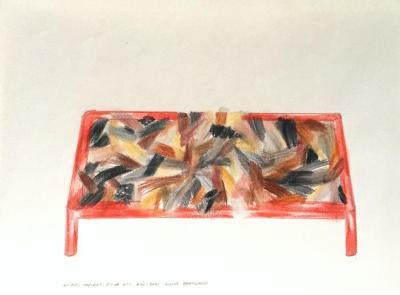 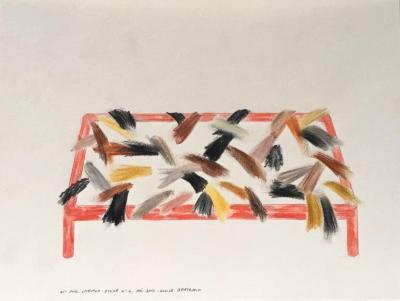 Manuel Geerinck, Design 1704, Charcoal and acrylic on paper, 18 in X 13.5 in, 2004. 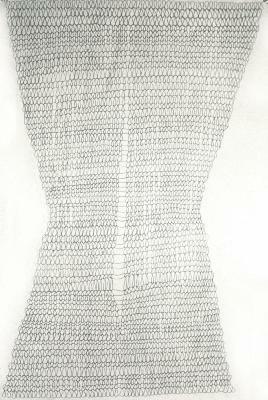 Kalika Gorski, Line of Suicide Bombers, graphite on vellum, 19 in X 24 in, 2006. 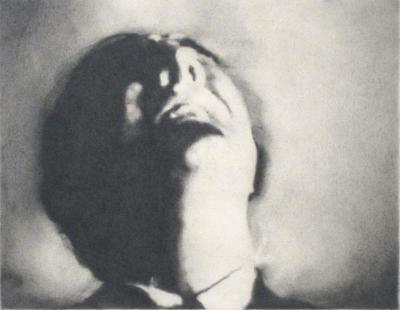 Paul Goss, Untitled (Shaking Head), graphite, 9 in X 8 in, 2010. 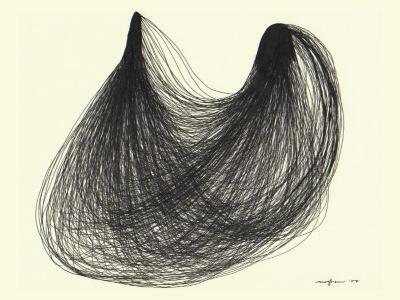 Paul Goss, Untitled (Upturned Head), Graphite on paper, 10 in X 13 in, 2010. 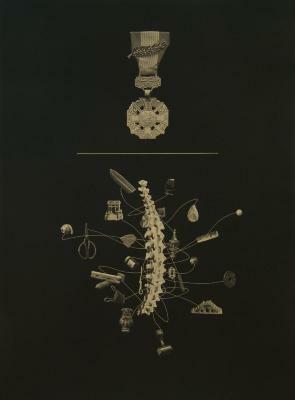 Joanne Howard, Vertebrae, Graphite / Pencil, 38 in X 26 in, 2001. 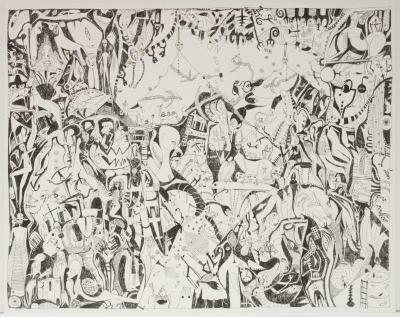 Robert Lansden, Dream, Graphite on paper, 30 in X 22 in, 2008. 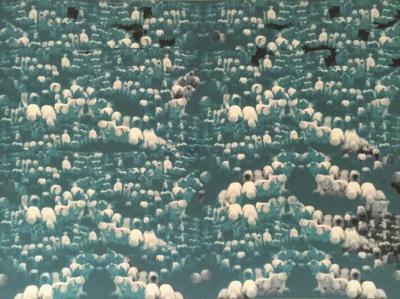 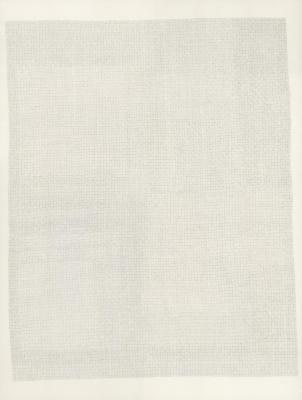 Sascha Mallon, Landscape 13, Ink on paper, 23 in X 29 in, 2007. 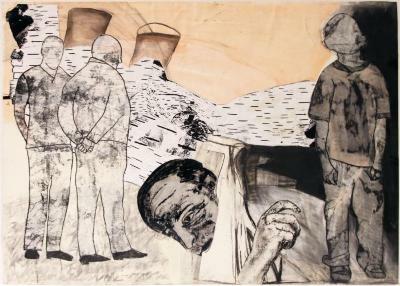 Arezoo Moseni, Changes #2, Ink, pencil, wine, Van Dyke sensitizer, 19 in X 19 in, 2009. 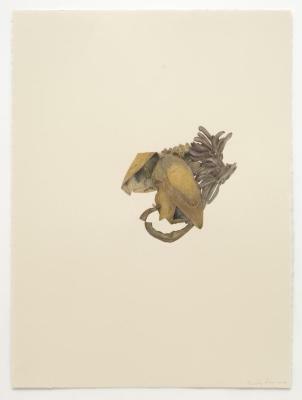 Beverly Ress, Bananas, colored pencil/paper, hand cut, 30 in X 22.25 in, 2006. 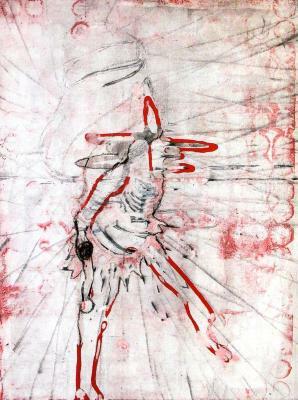 Sherae Rimpsey, Crote form (series 4) #3, ink pen, oil paint, charcoal on paper,, 7 in X 10 in, 2003. 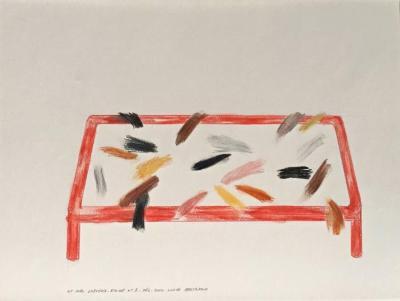 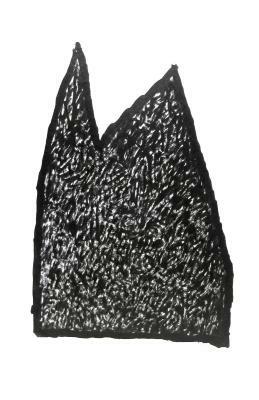 Sherae Rimpsey, Crote form (series 9) #5, ink pen, oil paint, charcoal on paper, 7 in X 10 in, 2003. 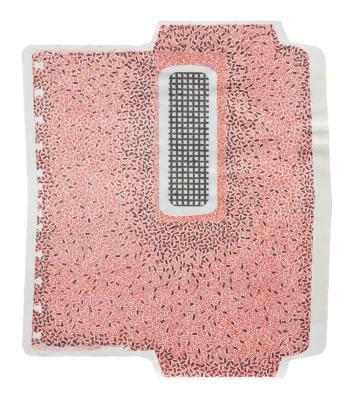 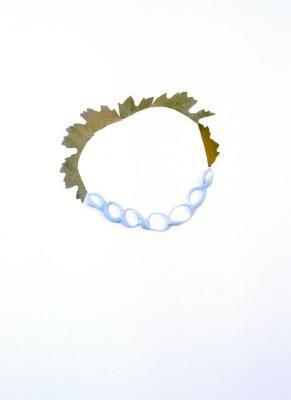 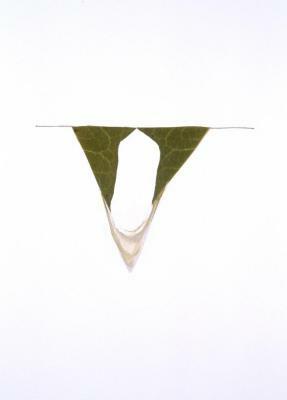 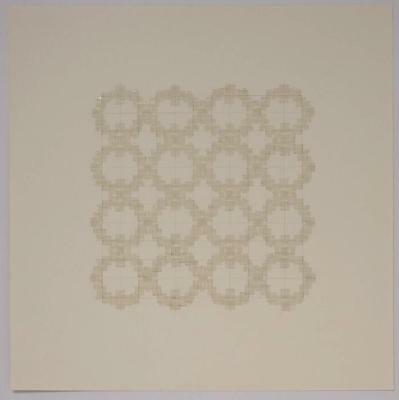 Susan Schwalb, Madrigal #26, Metalpoint, 9 in X 9 in, 2012. 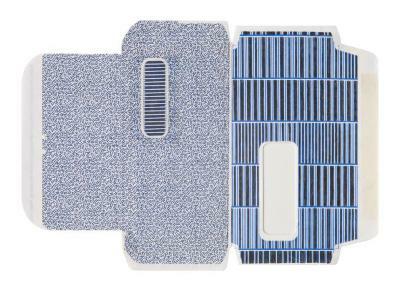 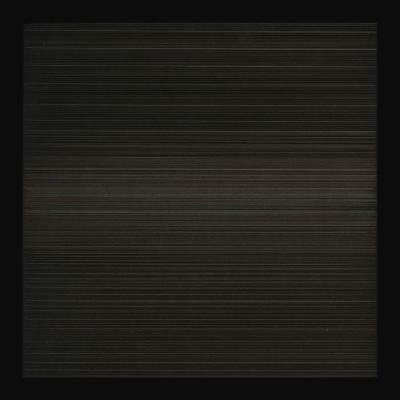 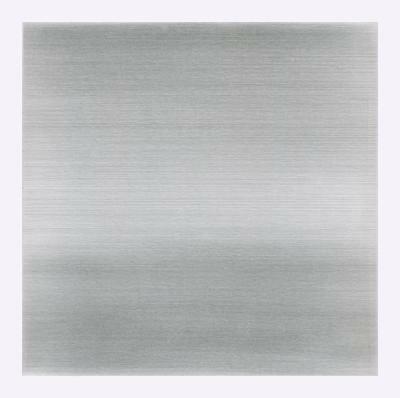 Susan Schwalb, Aurora #2, Metalpoint, 9 in X 9 in, 2010. 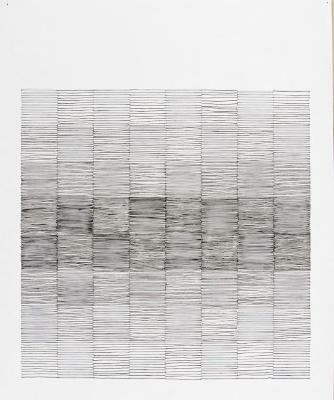 Audrey Stone, #18, Thread + ink + pencil , 17 in X 14 in, 2009.